Sunshine Beach. Sunshine Beach Information. 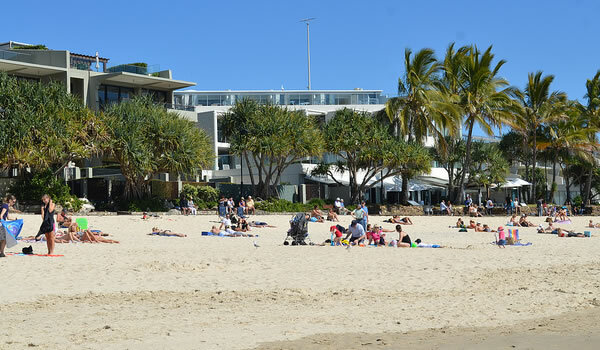 Sunshine Beach lies to the south of Noosa Heads and links to the Noosa National Park. Once known as Golden Beach to describe the vast sands. Very popular with experienced surfers who surf on the rolling Pacific Ocean waves. Just up from the beach is a cluster of small shops, cafes and excellent restaurants. Sunshine Beach Surf Club is has great views and a very popular eating and drinking place. Volunteer members of the Surf Club patrol on weekends and public holidays and the Noosa Council provides lifeguards at other times.